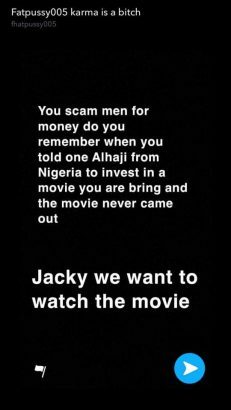 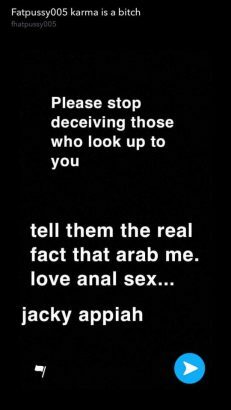 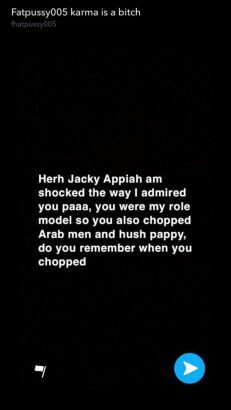 Snapchat user identified FatPussy055, has allegedly accused Ghanaian actress, Jackie Appiah of sleeping with Hushpuppi for money. 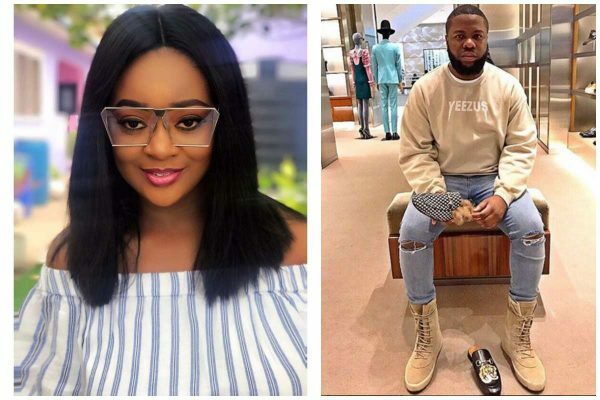 Moesha Boduong in her reaction had denied ever having such an affair, while Livingston came out to release evidence that he is HIV negative. 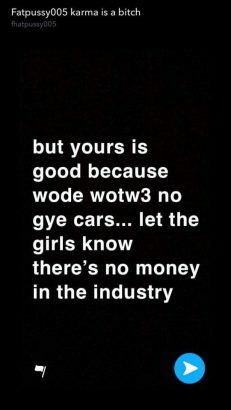 Another Snap user also came to accuse the actress of getting her G-Wagon from another rich guy known as Money Gram after sleeping with her.